Richmond is the greatest place to live in Canada. I’ve lived here for 27 years and have loved every minute of it. You will too. Below you’ll find access to all the information you could ever want to know about buying and selling real estate in Richmond. I’ve worked hard to make this website your “Go To Resource for Richmond Condos for Sale and Real Estate”. Richmond has a wide selection of condos for sale from ultra-luxurious with panoramic views to comfortable, cosy, private living. I’ve worked on Richmond condominium strata councils for 14 years, so I know all about condo living, and about condo living in Richmond. Whether you prefer English, Mandarin, or Cantonese I’ll make sure you feel right at home looking around Richmond. Together we’ll find a condo or house you’ll love to live in, and I’ll help you get settled into your new Richmond life-style. People tell me I have a reputation for being hard-working, friendly, and being a very strong negotiator for my clients. I’ve lived in Richmond for 27 years, and been a Richmond Condo Real Estate Specialist for almost 11 years. And I’ve enjoyed every minute of it. When somebody comes to me looking for a Richmond Condo I work very hard to get them real value for their money. These awards I’ve achieved over the years helping clients just like you buy and sell Richmond real estate are your assurance that you’ll receive the same outstanding service that I provided for all those past clients. 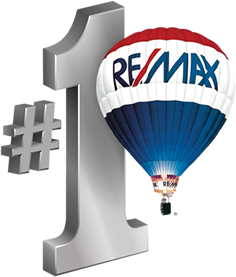 I earned the RE/MAX Lifetime Achievement Award, RE/MAX International Hall of Fame Award, RE/MAX Chairman’s Club Award and the RE/MAX Platinum’s Club Award MLS Gold Master Medallion Club Award (top 10% of all Realtors). "I would just like to write how much we appreciated having Eric as our Realtor. He was very helpful, informative and dedicated and went above and beyond to complete our house sale. Because we were not living in the house and away most of the summer, we entrusted Eric to look after things for us. He made us feel confident knowing that he would lock up and make sure everything was secure with our house. We were very happy with the amount of showings he did and with the end result of selling within the timeframe that we had given him. I would definitely recommend Eric to our friends and family." "I’d highly recommend Eric Lin to be your real estate agent for your investment properties or buying your future home. In a hot market like Vancouver, it is too difficult for a buyer to get the right home at the right price and at the right time. Eric was able to keep us abreast of the market changes and personal tips on how and what to look for in a house. Eric knows about the real estate in the Lower Mainland very well. Best of all, he was not pushy like other real estate agents that we have dealt in the past. Eric gave us the space and time to make our decisions. When it came time to put an offer in he was able to expertly negotiate and get us a very good deal (especially in such a seller’s market). He managed the entire process very effectively but also kept us up-to-date on the pertinent details. He responds very quickly and is very reliable. Eric is also very friendly, articulate, calm and most of all, very professional. I highly recommend Eric for your next home purchase. Although I don’t usually like to talk about things like this, my Marketing Consultant tells me I should let people know that I support local charities like the BC Children’s Hospital and the RE/MAX Miracle Program every year. We love the Richmond community. It’s clean, safe, and has very good civic government. We support the Richmond Community whenever we can. Here is some information about Richmond I’d like to share with you. If there’s other information you’d like please contact me, and I’ll make sure you get it right away. In the meantime, let me tell you a little more about why I love living in Richmond, and why I believe you’ll love it here too. Here we have some of the best weather in Canada – not too hot in the summer and not too cold in the winter. Richmond has the most sunshine and the least rain. In some places of Canada the wind is always blowing. But in Richmond most of the time there is only a gentle breeze, if not complete calm. I really love the calm. Many places in Canada have many mosquitoes. One of my favourite things about Richmond is that here there are hardly any, and there are no biting black flies. Richmond has some of the best shopping in the world. We have Costco, Walmart, Ikea, the new McArthurGlen Designer Outlet, and a number of unique shopping malls, including Lansdowne Mall and with very special products from around the world. Richmond City Management always makes sure these shopping malls are accessible, clean, and have the support they need to bring you first class products and services in a pleasant, proper manner. Without exaggeration, Richmond is well-known for having some of the best restaurants in the world, particularly Chinese and Hong Kong style restaurants. Some say the food here is even better than in those places. Richmond is an island community, so many restaurants are only blocks away from the docks where ocean-going fishing boats and trawlers come to port. I love stopping at Pajo’s to enjoy some of the freshest fish & chips in the world, and take in the beautiful view of Garry Point Park. Sometimes I take my family down to Garry Point to fly our kite, then stop at Steveston Pizza. Their pizza’s range from $14 to $850! How could a pizza cost $850? I don’t want to spoil the surprise, but I can tell you that two of the toppings are lobster and tiger prawns. I also love the sushi at Kiyo Sushi Japanese Restaurant. I really like the deserts at The Sweet Spot. They try to use local and organic ingredients whenever possible to make their pastry. Dinesty restaurant is my favourite place for steamed pork soup dumplings. For entertainment Richmond offers the massive Silvercity Riverport entertainment centre, which is at the heart of an entertainment complex that is many city blocks long. Richmond also offers local live theatre, and the Richmond Oval, which was built for the 2010 Winter Olympics. Among the many events held there is a basketball tournament organized by the Asian community in October of every year. On Canada Day my family and I head down to Steveston Village to join the annual Steveston Salmon Festival and parade. In August we again like to go down to the docks to see the Steveston Dragon Boat Festival. I feel like I’m in paradise when I’m riding my bicycle with my family along the West Dyke from Terra Nova to the Steveston/South Dyke area. I can see beautiful Richmond on one side and ocean-going ships coming into port on the other. Richmond has many well-equipped Community Centres, and parks beside fully-equipped schools for students of all ages. Steveston is a century old fishing village that has been incorporated into the Municipality of Richmond. You can visit interactive Maritime Museums, walk on the docks, feed the wild birds, and watch the fishing boats bring in their catch of the day. You will love leisurely strolling down Steveston’s quaint main street enjoying the ambience of the many small gift shops with a character all their own. Richmond is on a large island right next to the ocean in the Fraser River delta, so it has an atmosphere and community spirit all its own. And yet it’s only twenty minutes to downtown Vancouver via our clean, modern Skytrain public transit system. There are also three large and well-maintained bridges from connecting Vancouver and Richmond. Vancouver is the third largest city in Canada and one of the great cultural and port cities of the world. I’ve just had some great new listings come in that I’d be happy to show you, if you’re looking to buy. And if you’re looking to sell, my many awards and years of experience as a Richmond real estate specialist guarantee I’ll sell your home in the shortest time possible, at the highest possible price. Call 604-218-6188 today. Eric is fluent in English, Mandarin and Cantonese which gives him the extra edge in bringing the Canadian and Asian markets closer together for your benefit. • Save your search and get more details and confidential information of each listing. • Receive email alerts on new listings and you can stop this service at your discretion. • Members see new listings sooner. When you are ready to see a listing in person, or if you have any questions, please don’t hesitate to contact Eric! If you have been thinking about getting into the Richmond condo market, now is the time. The spring season is the perfect time to find your dream home because of the wide selection and choice of Richmond condos that are for sale. If you have been thinking about taking advantage of the red hot real estate market and putting your Richmond condo up for sale, you have picked the right time for sure. The fall season is an excellent time to put your Richmond condo up for sale. The market continues to rise and if you are looking to get full market value for your home, there is no better time than now. Get your friend inspired with this great Richmond Property! Please click the small box beside "I'm not a robot" so a green check mark appears. Then click the button "Contact Us Now".